Stock status is current as of 4/25/2019 2:42 PMET. Crimp on both RJ11 and RJ45 cable connectors from a single tool (with wire stripper). 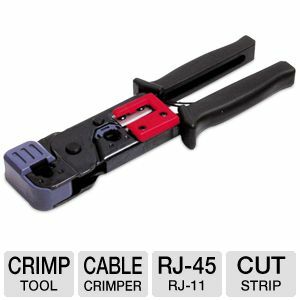 This RJ45 crimper/RJ11 crimper saves valuable time and effort on any related cable job acting as both cable crimper and cable stripper.